Thanks to a rip-snorting selection of V6 and V8 engine options, the Jaguar F-Type is widely regarded as one of the best sounding sports cars currently on sale. Jag though, has just announced a new addition to the 2018 F-Type range and it appears to be missing something: two cylinders. That’s right. There’s a new four-cylinder Jaguar F-Type on the block, marking the first time the British manufacturer has ever built a production sports car with less than six cylinders. Don’t worry though, the turbocharged Ingenium petrol engine still packs a potent punch. Delivering 300hp and 400Nm of torque it’s actually quicker from 0-62mph than the entry-level V6 model (the latter complete with a 340hp supercharged motor). There are a couple of reasons why cutting a few cylinders doesn’t seem to have harmed the Big Cat. 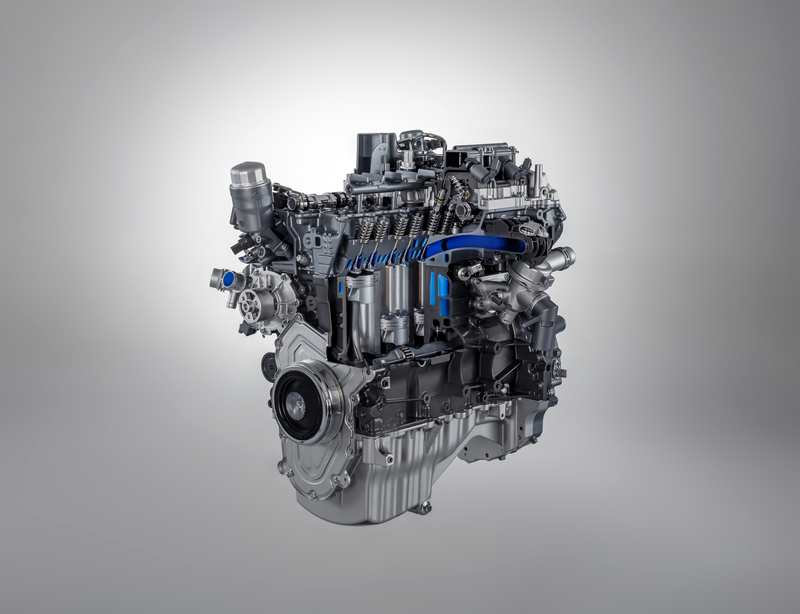 One, all that torque is developed from just 1,500rpm and two, the smaller motor has helped Jaguar to save 52kg. 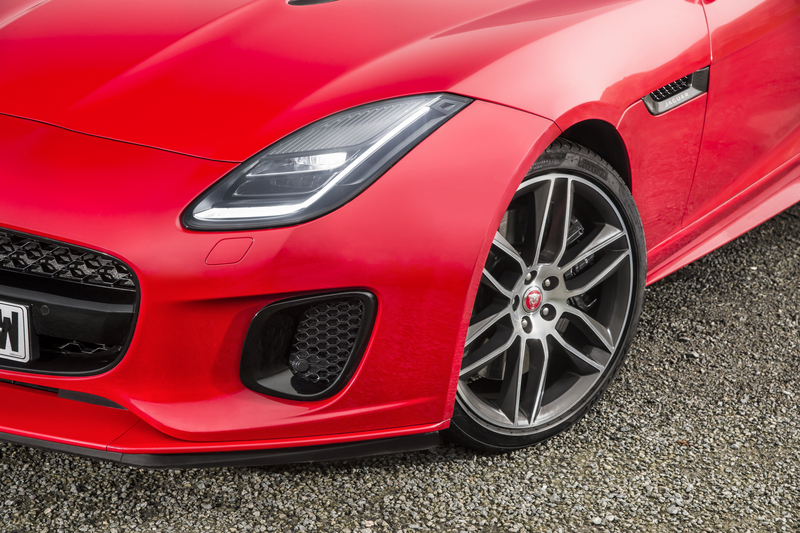 With less weight to throw around, Jag’s engineers have been able to provide the new four-cylinder F-Type with a bespoke chassis tune that they argue “delivers even greater agility”. Sounds good. Or does it? Well, there are a couple of quick engine revs in this promotional vid and, we have to admit, it does sound pretty sonorous (certainly more pleasing on our ears than the four-cylinder Porsche Boxster). 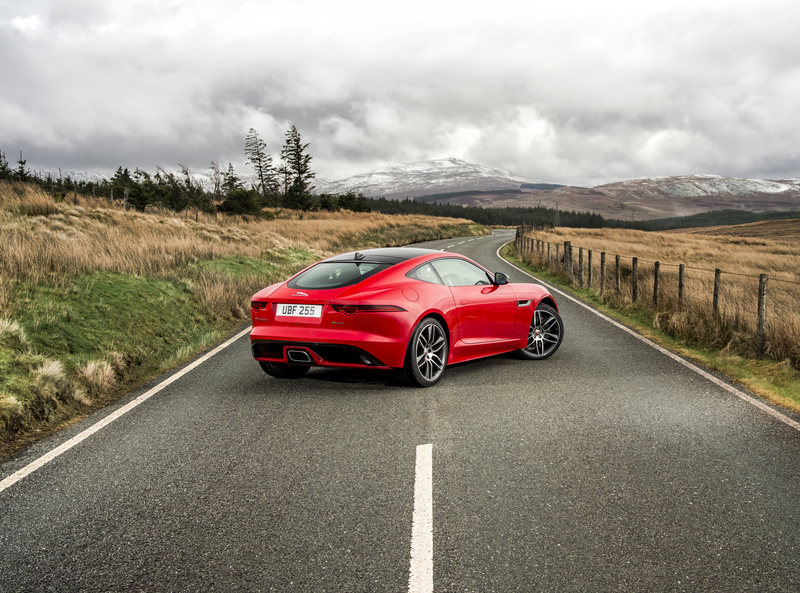 Jaguar has worked hard to ensure that the latest F-Type has a growl worthy of the Big Cat’s badge, meticulously tuning the exhaust system. And, if you want a bit more bark, the R-Dynamic trim level brings with it a switchable sports exhaust. As part of a refresh for the 2018 model year, the F-Type four-cylinder debuts a few subtle styling tweaks, with all new front and rear bumpers and the new option of full LED headlights. Inside, there are new chrome and aluminium trim finishes, lightweight slimline seats and a frameless rearview mirror (as first seen in the new Land Rover Discovery). It all looks and sounds pretty good, though with a starting price of £49,900, it’s over £7,000 more expensive than the Porsche 781 Cayman (which packs also packs a turbocharged four-cylinder developing 300hp). There’s also no manual option, though this is unlikely to put off customers enticed by the lower list price, remarkably low CO2 emissions of 163g/km and 16 per cent improvement in fuel economy versus the V6 F-Type.